Thu., Aug. 10, 2017, 8:54 p.m.
SEATTLE – There might be some help for the Mariners on the horizon. Right fielder Mitch Haniger is expected to take regular batting practice at some point this weekend, and veteran Hisashi Iwakuma is ticketed Friday for an extended bullpen workout. Haniger is recovering from a facial laceration after getting hit in the lip by a pitch from Jacob deGrom of the New York Mets on July 22. Iwakuma hasn’t pitched since May 3 because of inflammation in his shoulder. Neither player seems likely to return prior to September. Tentative plans call for Haniger, 26, to take part in batting practice for a few days before beginning a minor-league rehab assignment. Such an assignment can last up to 20 days for non-pitchers. If Haniger stays on a rehab assignment through August, the Mariners can activate him in September without a corresponding roster move. That could be a key consideration because Leonys Martin, who replaced Haniger on the roster, is out of options. Haniger was batting .255 with seven homers and 24 RBIs in 58 games prior to his latest injury. Haniger previously missed 6 1/2 weeks because of strained right oblique muscle. Iwakuma, 36, was 0-2 with a 4.35 ERA in six starts prior to his injury but led the club last season by winning a career-high 16 games. Servais said Iwakuma has already tested his recovery by throwing three light bullpen workouts but indicated Friday’s session should provide a more definitive test. Even in best-case scenario, Iwakuma would likely need at least three rehab starts (or a combination of simulated games and rehab starts) before rejoining the rotation. That seems likely to push his timetable into September. Manager Scott Servais says the Mariners will likely return to rotating relievers from Triple-A Tacoma in order to keep fresh arms in the bullpen. The Tacoma-to-Seattle bullpen shuttle appears headed back to a full-time schedule this month as the Mariners try to nurse a suspect rotation into September, when rosters can expand to as many as 40 players. Manager Scott Servais acknowledged a need on Thursday to keep his rotation – with James Paxton as the sole exception – on a short leash as the Mariners continue their postseason push. 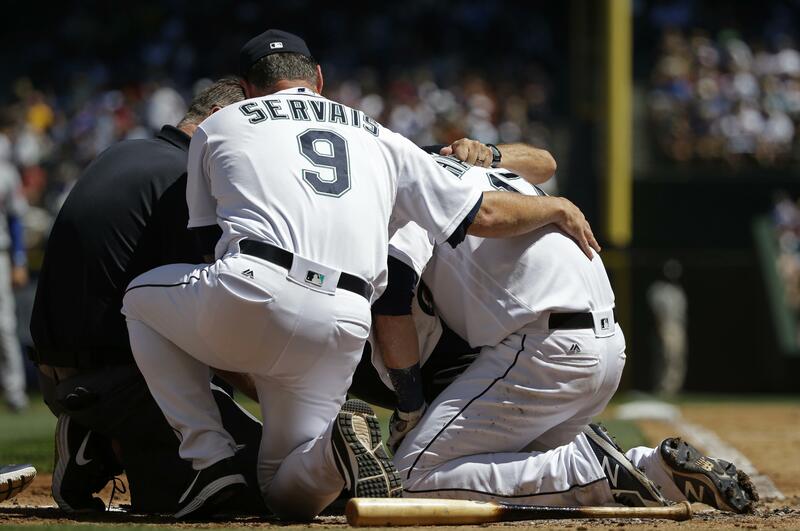 “We can’t just lean on those guys to go out there and give us six innings,” Servais said. “I think you have to be a little more aggressive (in going to the bullpen). Right-handers Casey Lawrence and Emilio Pagan are currently sharing duty as the bullpen’s long reliever. One or the other pitched in six of the last eight games. Other than Paxton, the Mariners haven’t had a starting pitcher work six or more innings since July 28. The bullpen logged 17 2/3 innings over the last four games since Paxton worked six innings on Aug. 4 at Kansas City. Keeping fresh arms available became more difficult because of the recent trade that added first baseman Yonder Alonso from Oakland. Alonso replaced injured reliever David Phelps on the 25-man roster, which means the Mariners are now operating with a seven-man bullpen after carrying eight relievers for much of the season. The Mariners made 23 personnel moves in May that either added or removed a relief pitcher from their 25-man roster. Any shuttle is likely to involve the eight pitchers on the club’s 40-man roster who are currently pitching in the minors: Dan Altavilla, Zac Curtis, Chase De Jong, Ryan Garton, Sam Gaviglio, Andrew Moore, Max Povse and Thyago Vieira. The Mariners have the American League’s best record since the All-Star break at 16-9. They entered Thursday’s game against the Los Angeles Angels with a one-game lead over Kansas City and Tampa Bay in the race for the final wild-card spot. The Mariners sent catcher Tuffy Gosewisch, 33, to Triple-A Tacoma, where he had been playing, on an outright assignment after he cleared waivers. Gosewisch, 33, was designated Aug. 6 for assignment when the Mariners needed to clear space on their 40-man roster after acquiring reliever Ryan Garton in a trade from Tampa Bay. Garton was optioned to Tacoma. The Mariners obtained Gosewisch from Atlanta in a Jan. 26, 2017 waiver claim. He spent most of the season at Tacoma, where he is batting .219 with four homers and 28 RBIs in 65 games. He was 2 for 28 in 11 big-league games in May. Published: Aug. 10, 2017, 8:54 p.m.